I also found this pale pink cocktail dress which was available in black too. It’s a very sweet mini cocktail dress that would be nice to wear to a non-formal party. The Stiletto Moody shoes in “blush” colour were perfect for this dress and I wore jewelries with pink from Virtual Impressions. This is a jewelry store that has very nice jewelry at very reasonable prices and carries a wide range of jewelry that had “pink” in it. So one day, when I was looking for a set of pink jewelry, I tp’d here and found this set which was exactly what I was looking for. 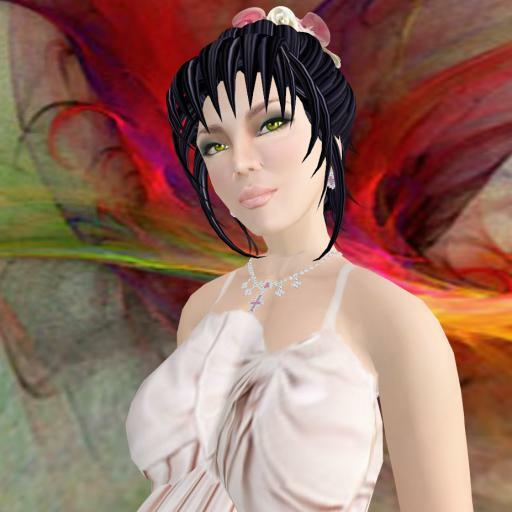 This hair is from Sparkle Skye and it comes with flowers. There were many flower colours who could choose from to match outfits you wanted to wear them with. As this store is one that has many lovely wedding gowns, I think this hair was initially designed to be worn with a wedding gown but of course, I use it with any kind of dress as I don’t expect to wear wedding gowns many times except for wedding shows. *Note: This is not a lucky chair. It’s a vendor poster with lucky alphabets and numbers, where you have to click on the vendor to win the item displayed if your letter comes up. This system is used quite often in Japanese sims. 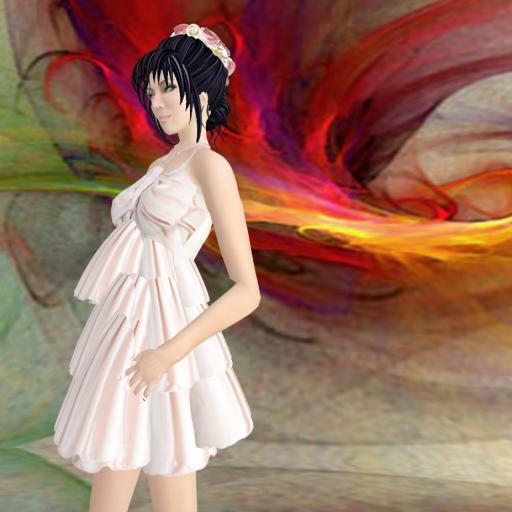 This entry was posted in Uncategorized and tagged Japan, Japanese designers, Kay Fairey, second life, sl fashion, Towa by Kay Fairey. Bookmark the permalink.